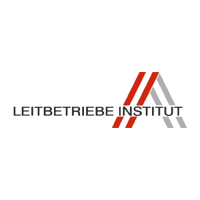 “It is good to have made this qualitative business-analysis with the ideas business GmbH and the Leitbetriebe Austria Institute. I have expected a critical way of looking; these expectations were fulfilled; it is very helpful to get alternative propositions of business solutions. The adjustments we have made in the past months, find its coverage in the results of the analysis. “As NOUS Digital, we blend strategy, technology and creativity into smart user experience. This qualitative business analysis conducted with ideas business GmbH and the Leitbetriebe Austria Institute was critical and high-quality. The personally conducted interviews within the framework of the data collection were interesting, innovative and gave me the opportunity to reflect critically. The time required for this to a few hours – in relation to the quality of the result – was very low and could be well integrated into the “daily business”. My expectations of “ideas” and their qualitative business analysis were more than fulfilled. After the analysis, we have implemented the entrepreneurial steps envisaged by NOUS and Pocket Science with even greater conviction and strategically strengthened. It seems to me to be a good idea to integrate this trustworthy, entrepreneurial steering tool into our business day at NOUS as well as in the segment of our partners and customers. “My conclusion, after the very interesting and entertaining analysis process, is very positive. SCARLETRED is an emerging international MedTech startup focused on innovative technologies in the field of biomedical engineering and medical information technology. Newcomer in Silicon Valley, 12 2015: Awarded as “Most Disruptive MedTech Newcomer in Silicon Valley”. App of the Year, 11 2015: Obtaining the Futurezone Award “App of the Year 2015” for Scarletred®vision. “We have a very successful and exclusive cooperation with ideas, as a partner for systematic business development (business development) and qualitative business-analysis.